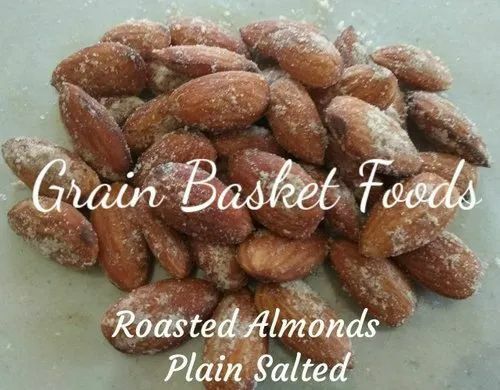 We, Grain Basket Foods, came into existence in the year of 2014, are a prominent manufacturer and wholesaler of a wide array of Roasted and Puffed Snacks, Grains, Pulses and Oil Seeds. Offered products are processed by taking optimum quality basic components as per the set industry norms and standards at our well-equipped processing unit. We are offering these products in various packaging options to suit the ever-changing demands of our clients in an effective manner. Our provided products are highly admired by the patrons for their perfect formulation, accurate composition, and longer shelf life. Clients can purchase provided products from us at most economical price within the assured period of time. Since our inception, we are supported by an advanced infrastructure facility equipped with the latest tools and machines required for the production of the offered products. For the reliable and smooth execution of our business process, we have segmented our facility into various departments. Each unit is managed by well qualified and experienced professionals. We have recruited our professionals on the basis of their previous experiences and domain knowledge. To achieve the set organizational goals and objectives, our professionals are working with full dedication and support. Apart from this, we are supported by our strong distribution network; with the help of this network, we have been able to deliver the offered products within the promised frame of time safely.